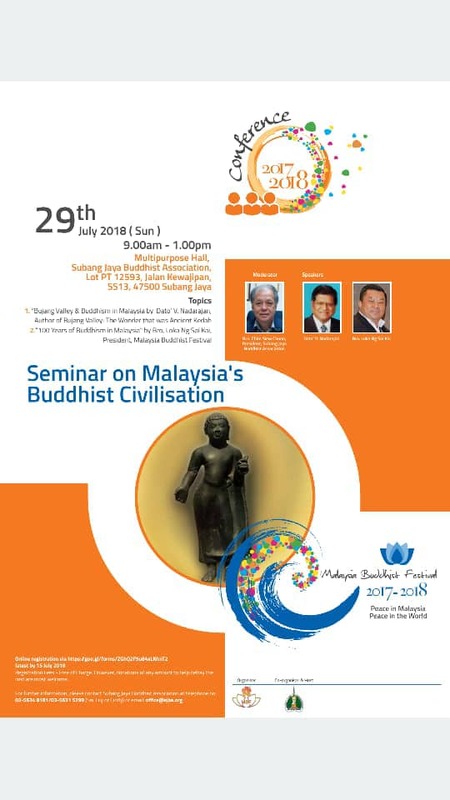 A Seminar on Malaysia’s Buddhist Civilization will be held from 9.00am to 1.00pm, 29 July 2018 at the Multipurpose Hall, Subang Jaya Buddhist Association. Members of the Buddhist Community especially teachers in Sunday Dhamma Schools and Committee Members are encouraged to attend this Seminar. Registration is free but donations of any amount to help defray the cost are most welcome. More information and ONLINE REGISTRATION via this link.